I have seen a number of clients over the past few weeks who are not managing to stay well hydrated during the hot days of Summer so thought I would share this little do it yourself electrolyte drink recipe, which not only tastes delicious but is also loaded with the electrolytes needed to keep you hydrated when water alone is not enough. 1. 2/3 – ¾ fill a wide mouthed drink bottle with filtered water. 2. Bruise then add a sprig or two of washed fresh mint leaves (this is optional and is more for flavour than hydration!). 3. Dice a wedge of fresh watermelon then add to water bottle. 4. Add a pinch of pink Himalayan salt. 5. Top up the bottle with 100% preservative free coconut water. This tasty combination includes the important electrolytes calcium, magnesium, phosphorus, sodium and potassium in their natural form without the nasties that are in many commercially available electrolyte drinks. Watermelon alone is not only high in water content but is a rich source of phytonutrients and anti-oxidants including Vitamins A, C, B6, B1, manganese, potassium and flavonoids, like lycopene, beta-carotene, lutein, zeaxanthin and cryptoxanthin. 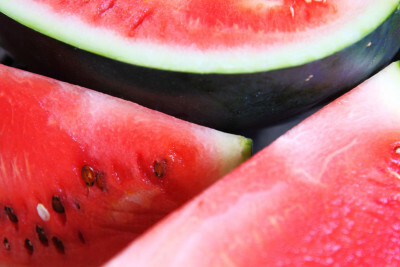 Just 100g of fresh watermelon provides 19% of your daily requirement of vitamin A. If watermelon is not your thing and you are after a change to drinking plain water try adding a combination of healthy flavours to ensure you get your 2 litres a day (plus 1 litre per hour of exercise). Kiwi fruit and the list goes on…. You are only limited by your imagination (or the season)! Enjoy! Naturopath, Herbalist, Nutritionist and Bioresonance Therapist, who has had a lifelong passion for health, fitness and natural medicine.